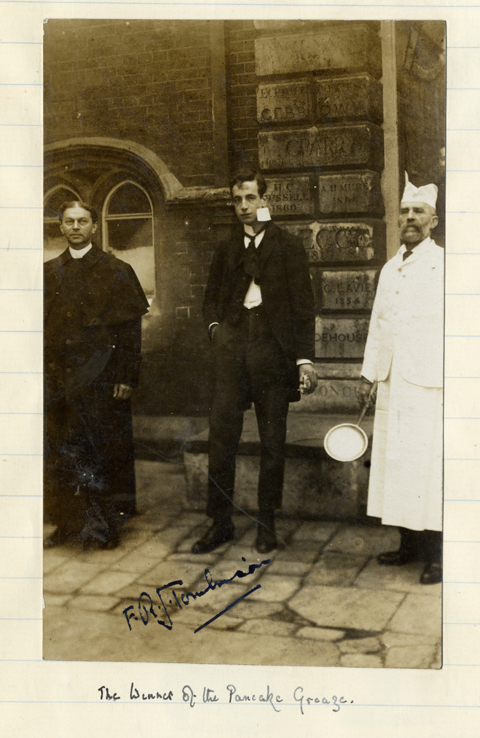 Frederick Roger John Tomlinson attended Westminster from 1905 to 1910, boarding inGrant’s for a number of years with Lawrence Tanner, whose diaries tell us a lot about Tomlinson’s time at the school. He was not really one for sports, but he did make a stir winning the Greaze two years in a row, even appearing on the front cover of the Daily Graphic after the second victory. Tanner also tells us that he broke a window in Grant’s with a snowball, and got into a number of fights while he was at the school. At Trinity College, Cambridge, he continued to make an impression where he was apparently an ardent motorist, originally driving a car the Elizabethan reported as being “of dubious make and more dubious date; it is bizarre”. 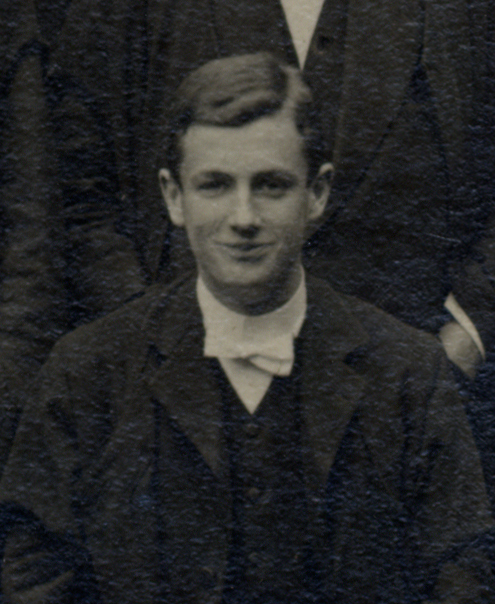 Later in his time at Cambridge, he rowed for his college and focused more on motorbikes, which he was very passionate about. In 1912 he is described as sporting a very impressive moustache, though sadly we have no photographs of him from this time. 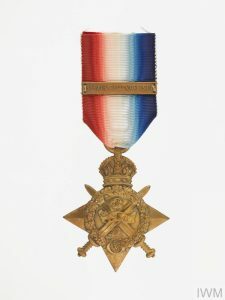 We know that Tomlinson was first involved in the army through the cadet corps at Westminster, in which he was made a Lance-Corporal, in November 1908. He received a commission and went out to Belgium early in the war, probably landing in Zeebrugge on October 6th 1914, as part of the 1st Battalion, the South Staffordshire Regiment. The Division they were with was tasked with assisting with the defence of Antwerp, but the city was already falling to German forces when they arrived. 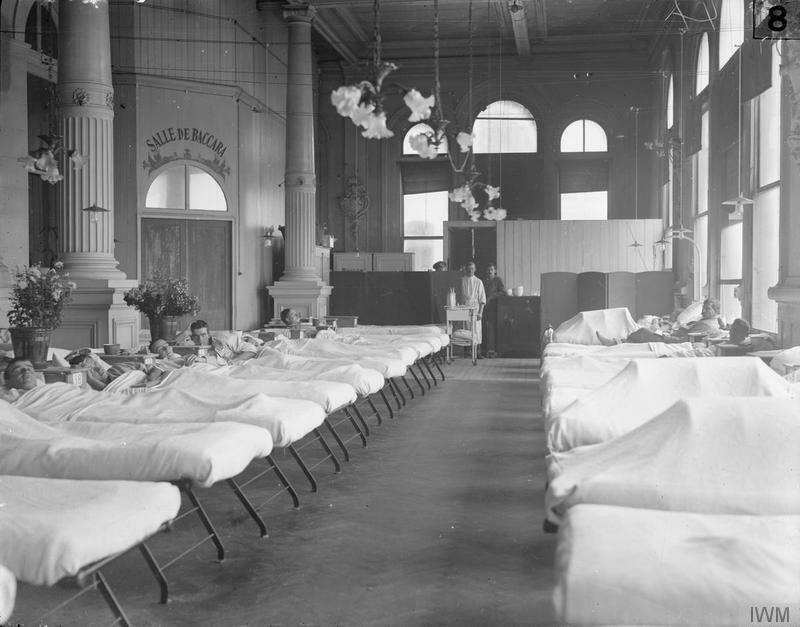 Instead, they aided with the evacuation of the Belgian army, before moving to Ypres. 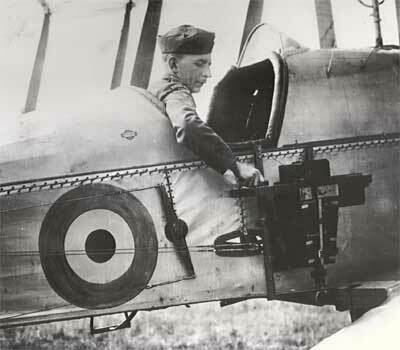 Tomlinson was killed on October 26th, just a few days after his 23rd birthday. Casualties at that time were incredibly high, and there was confusion surrounding his fate. He was reported in The Times as wounded, and the Elizabethan of June 1915 says this: “In October he was reported missing. 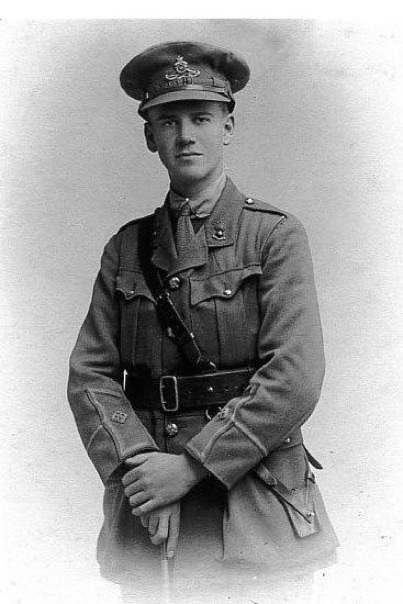 It is now known that he was wounded, and while he was on the way to the field hospital, was struck by a shot or splinter and killed.” He has no known grave, and is commemorated with 54,000 others on the Menin Gate in Ypres. Grants in 1909. 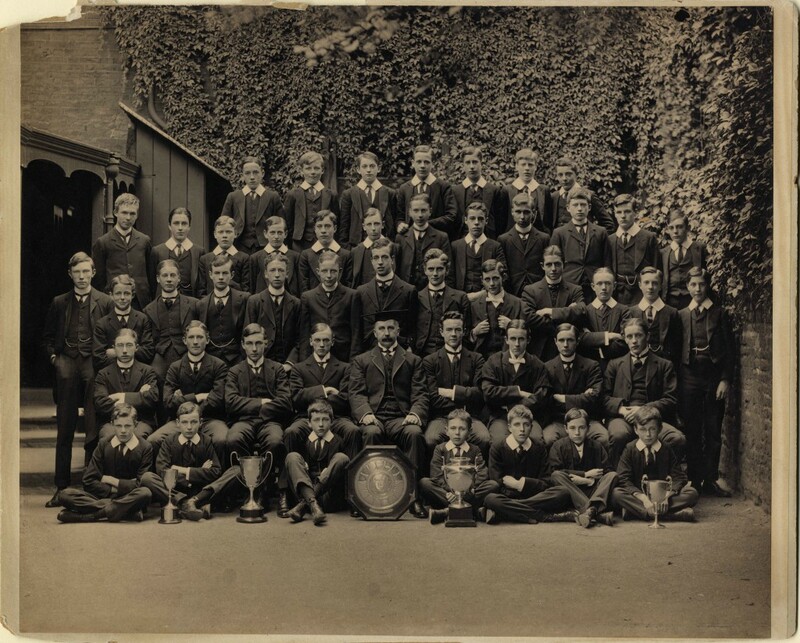 Tomlinson is in the centre, behind the housemaster.